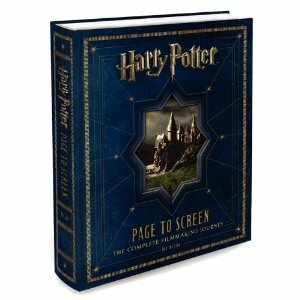 The new Harry Potter Page To Screen: The Complete Film Making Journey is a fascinating book for anyone who wants to know more about the making of the Harry Potter movies. For me one of the best features of any of the Harry Potter movie DVDs is the extra features that they include, particularly the behind the scenes details that they have. This excellent new book takes you behind the scenes of all the movies and gives huge amounts of details about the film making process, the sets, the costumes and has lots of details about the movie making process. When I first picked up the book it was in a traditional book store with a price tag of $75. And let’s be clear that ‘picking up’ this book is no easy task – it is heavy! At 531 large pages with very high quality binding this is a gigantic coffee table style book. I was more than prepared to pay the $75 price but as always wanted to check out the price on Amazon first. I was so pleased to see it offered there at a 40% discount. At $45 this book is a bargain. The Page To Screen book goes into a lot of detail right from the start. It is difficult to imagine a world without the books and the movies and it is interesting to read about how the Harry Potter movie franchise started out. David Heyman was skeptical at first about the new book and thought that Harry Potter and the Philosopher’s Stone did not seem ‘like a very good title’. Fortunately as soon as he read the book he ‘fell in love’. Even Heyman could never have predicted the amazing success of the Harry Potter movies and thought it would ‘at most, the first book might make a good, modestly sized British film”. Fortunately for all of us the Harry Potter movies became rather more than that. 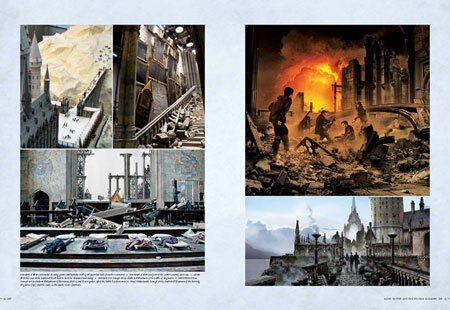 The book is a must for Harry Potter fans who are fascinated by the movie. The quality high, the pictures breathtaking, and the insight it gives into the movie making process is fascinating. And at that price on Amazon is a deal too good to pass. 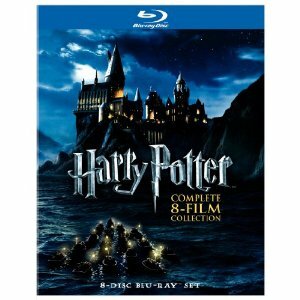 Should you buy Harry Potter the Complete 8 Film Collection or wait until the release of the new box set some time in 2012? 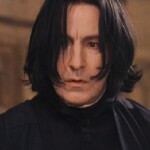 Warner Brothers recently announced that all of the 8 Harry Potter movies will be temporarily unavailable until some time in 2012. Yes even the recently released Harry Potter Complete 8 Film Collection and Harry Potter and the Deathly Hallows – Part 2. Time is running out for Harry Potter movie fans as the existing Harry Potter movie dvd’s will no longer be shipped to stores and retailers after 29th December 2011. So if you want to be sure to get a copy of any of the movies you do have to act now. Of course this is the oldest marketing ploy in the book. Make something unavailable so that you can sell more copies when you relaunch. The Disney Vault has been doing this for many years. This technique has been extremely successful for Disney movies. Generally the movie goes into the ‘vault’ for a decade and then is relaunched with different and enhanced features. The scarcity of the particular movie has meant that used copies have become very expensive. Scarcity has really worked in driving costs up for fans who want the movie and don’t mind paying the price. Is this going to happen for a Harry Potter fan who really wants the movie in the time when it isn’t available. Are you going to have to pay a high price on eBay? I would say that his is unlikely. The period of time when the Harry Potter movies are not going to be available is likely to be short enough that speculators on the second hand market really will not get a foothold. The most online sales are always made in the last couple of months of the year. So the obvious release date for the Harry Potter Ultimate 8 DVD Collection is surely November 2012. But will the Harry Potter DVDs really be off the market for that long? Will they release each edition separately? Buying DVDs these days just seems to be ridiculously complicated. The format choice is easy – either you have upgraded to Blu-ray or you haven’t. But what of the extra features? Do you just want the movies? The Digitally upgraded version? The one with all the extra features? The one with the picture book? The digital copy? The choices are endless and complicated. 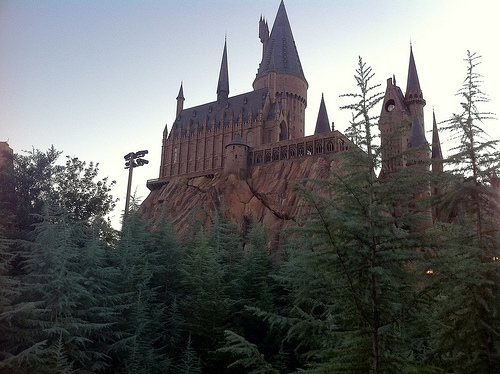 The Harry Potter movies are phenomenal and for fans all over the world they have brought the Wizarding World to life in ways in which even the books could not. But navigating the world of Harry Potter movie dvds is not easy. What do you think? Will you be waiting for the new releases in 2012? Or are you scrambling to buy the last available current Harry Potter DVDs. Leave me a comment below.